Home / Vitamins, Minerals & Herbs / Calcium, Magnesium, Vit. D and Vit. K. 300 Caplets. Calcium, Magnesium, Vit. D and Vit. K. 300 Caplets. This blend of essential vitamins and minerals has been formulated to provide your daily requirement for maintaining healthy bones, helping improve your quality of life. This blend of essential vitamins and minerals has been formulated to provide your daily requirement for maintaining healthy bones, helping improve your quality of life. Combine these with regular exercise and a healthy diet essential for strong healthy bones. 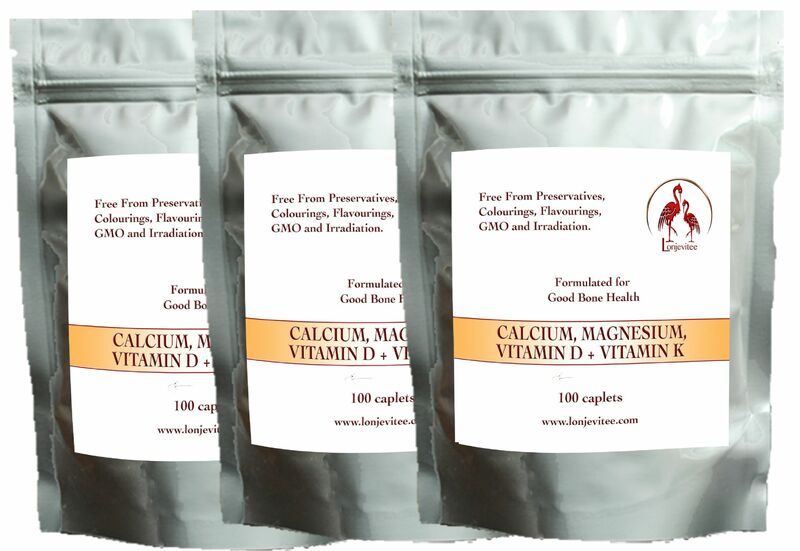 For Bone-Health problems take 2 caplets daily. 3 caplets daily. When taking more than 1 caplet spread them out throughout the day. Ethyl Cellulose, Mixed Tocopherols Ergocalciferol). 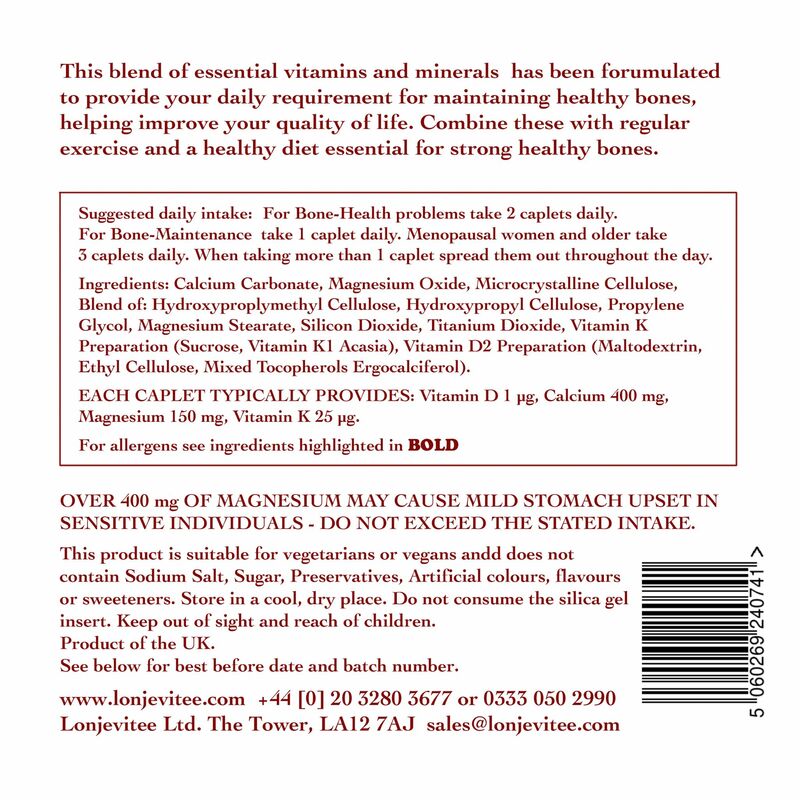 Magnesium 150 mg, Vitamin K 25 µg. SENSITIVE INDIVIDUALS - DO NOT EXCEED THE STATED INTAKE. This product is suitable for vegetarians or vegans and does not contain Sodium Salt, Sugar, Preservatives, Artificial colours, flavours or sweeteners. Store in a cool, dry place. Do not consume the silica gel insert. Keep out of sight and reach of children.